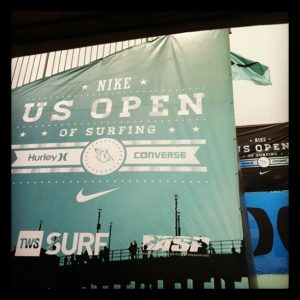 This past week I had the opportunity of providing massage therapy to athletes at the NIKE US Open of Surfing in Hungtington Beach, California. I was part of the IntelliSkin Medical Team, run by Dr. Tim Brown who is the Co-Medical Director for the Association of Surfing Professionals (ASP). The IntelliSkin team consisted of some of the best chiropractors, physical therapists, massage therapists, orthopedic surgeons, acupuncturists and sports medicine gurus. It was a great experience working alongside so many intelligent like-minded professionals. I hope to have the ASP experience again soon!